If you want to replace your missing teeth without giving up the comfort and aesthetic appeal of natural ones, dental implants are your best option. Expert dentists Dr. Ruppron Priyawat and Dr. Maria Kim offer immediate load dental implants to replace one or more teeth at Omnia Dental Care in Chino Hills, California. To find out if you’re a good candidate for dental implants, call to book an appointment. Dental implants are the next best thing to natural, healthy teeth. They include two parts: a titanium anchor that gets surgically inserted into your jaw bone and an artificial tooth, or dental crown on top. Implants replace both the visible part of your tooth and the root beneath your gums. Since the titanium post actually stimulates bone growth, dental implants eliminate the risk of bone degeneration after tooth loss. The titanium also makes implants stronger than natural teeth. If you’re missing multiple teeth, Dr. Priyawat or Dr. Kim may recommend using implants to support a bridge or overdentures. To replace a full set of teeth, Omnia Dental Care offers All-on-4®, a procedure that involves attaching bridges to four implants on your upper and lower jaw. Since dental implants are stronger and sturdier than other tooth replacement options, they’re a cost-effective solution in the long run. First, Dr. Priyawat or Dr. Kim performs a comprehensive dental exam to determine whether implants are right for you. The team at Omnia Dental Care takes X-rays and impressions to measure if your mouth has the space available for dental implants. While some dental implant procedures involve multiple surgeries, Omnia Dental Care offers immediate load implants, which requires only one surgery. Dr. Priyawat or Dr. Kim numbs your mouth then surgically insert the dental implant anchor and post into your jaw bone. After your oral tissues heal, the team at Omnia Dental Care places a crown over the implant post. Once the crown is securely in position, you’re free to enjoy your permanently restored smile. 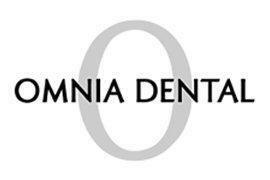 To learn more about dental implants, call Omnia Dental Care to book an appointment today.